These are the pictures from the first roll of film from my new camera. They all came out good except for the one in this envelope. It was the last picture on the roll. 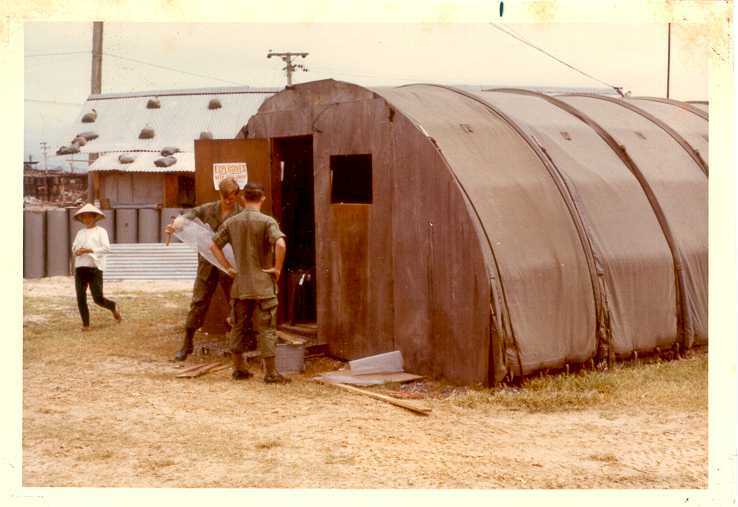 I believe at one time I said I was living in a sheet metal hut. Well, I just realized I'm living in a tent. That's the blurry thing in the picture. There are four other envelopes with pictures in them. I hope none of them got bent up. Hope these pictures give you some idea of what it's like over here. As you can see it's not all that bad. The accommodations aren't the greatest, but I'm not complaining. I put a note on the back of each picture so you can try to piece everything together. There are pictures of Da Nang, Tuy Hoa, and Long Thanh. Now you know what a U-21 looks like.